Now now, If I were to buy new one next month, what should I use it for? Hi hi! 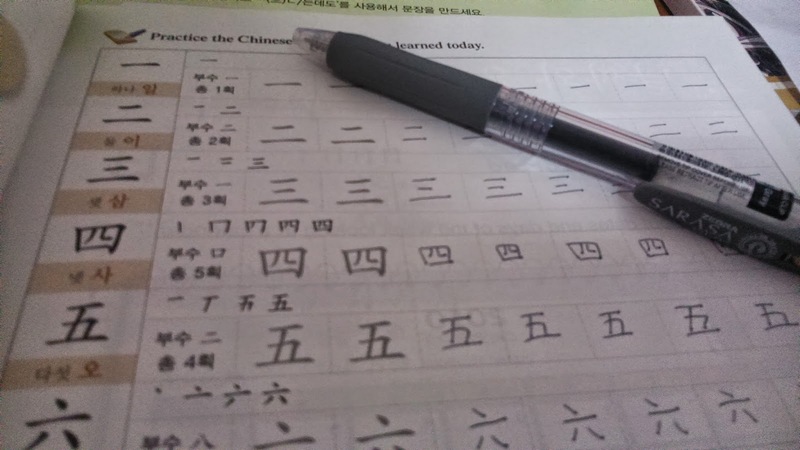 I've decided to post my weekly update or This Week in (my) Korean (learning journey) at the end of each cycle. This is only the second TWIK but I have managed to post it 2 days late. ㅋㅋ Anyway, it was a slow week. 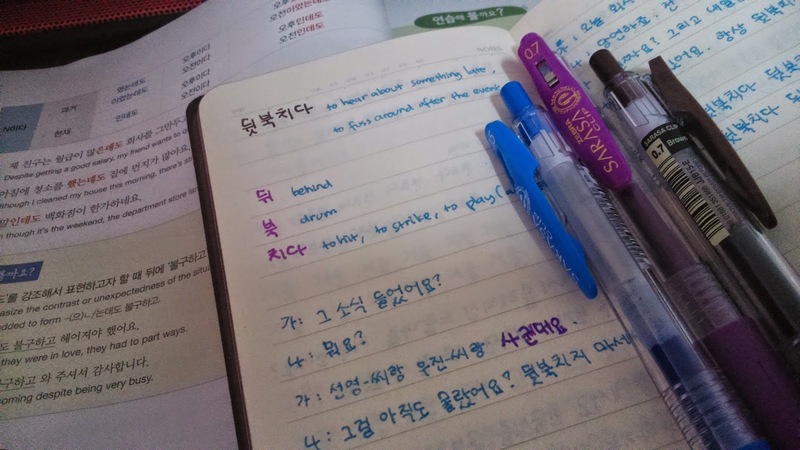 I listened to TTMIK level 4 lesson 15. Uh, I think I have to review this lesson. I was not feeling very well. I only had my daily dose of Korean variety show today (that means either watching Running Man/Infinity Challenge/Happy Together/Superman Returns). 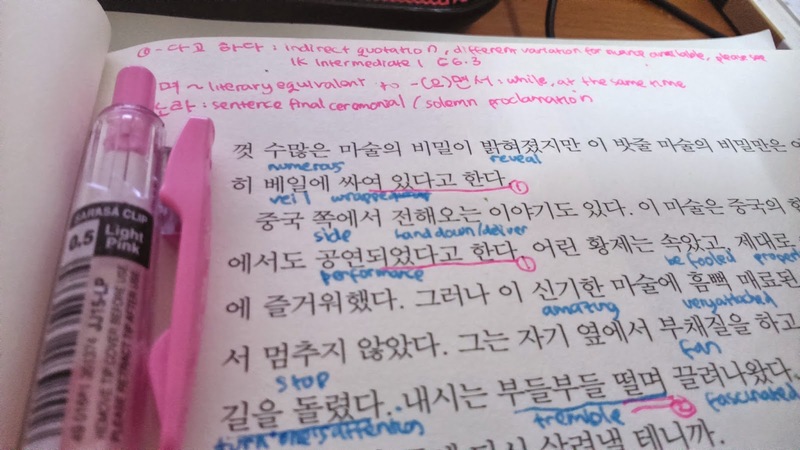 I listened to TTMIK level 4 lesson 16. Spacing in Korean. Sometimes I find the same word written with and the other times without spacing. Have to remember to note the example. I reviewed new words I found from KGiU Intermediate chapter 2.2. I still had the practice section left to do. Another variety show only day. Ah, I keep hoping to see the words I learn popping up in every show I watch. That would be the best scenario. I continued working on vocabulary from KGiU Intermediate chapter 2.2. Ah, I'm still trying to find out how to handle all these new words. I currently write them down on my notebook, note the meaning and then write them over and over again. I'm thinking of rewriting them again here on my blog as a series, common usage series. Hm. I finished the practice session on KGiU Intermediate chapter 2.2. There are still several vocabularies that I have to review.